Just weeks after Universal Pictures announced it had acquired the rights to all of Anne Rice's The Vampire Chronicles novels, the studio is reportedly in early negotiations with The Fault in Our Stars filmmaker Josh Boone to write and direct the adaptation. While a studio spokesperson has issued a statement saying that The Wrap's story is "completely untrue," the website is standing behind their story. Our report from earlier this month revealed that Anne Rice's son, Christopher Rice, is writing the screenplay adaptation, but it seems that Josh Boone will now handle both the writing and directing duties. An unspecified source reveals that producers Brian Grazer, Roberto Orci and Alex Kurtzman have all signed off on the filmmaker, with Universal's approval expected to be a "mere formality." Anne Rice's The Vampire Chronicles novels include Interview with the Vampire and Queen Of The Damned, which were adapted for the big screen by Warner Bros., along with other books such as The Vampire Lestat, Tale of the Body Thief and the upcoming Prince Lestat. Tom Cruise played the vampire Lestat de Lioncourt in Interview with the Vampire, while Stuart Townsend took over the role in Queen Of The Damned. 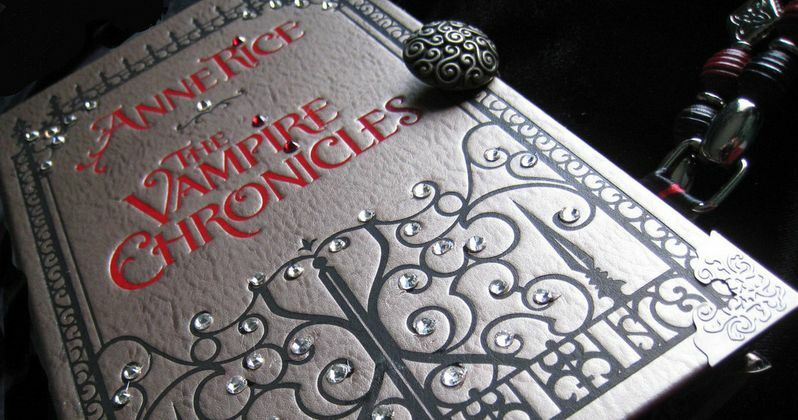 The Vampire Chronicles will reportedly be adapted from both Queen Of The Damned and The Vampire Lestat, the second and third books in the series. Universal and Imagine's deal includes all past books and future novels, along with the adapted screenplay Tale of the Body Thief written by Christopher Rice. While no specific production schedule was given, The Vampire Chronicles is expected to come after Josh Boone wraps on The Stand for Warner Bros. Author Stephen King has already given his blessing on Josh Boone's script for the faithful three-hour adaptation, with casting set to begin soon. The filmmaker made his directorial debut with last year's Stuck in Love, before directing this summer's The Fault in Our Stars.